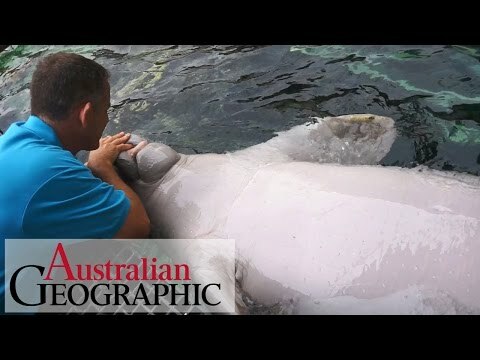 Meet Australia's Only Captive Dugongs. There are currently only six captive dugongs in the world and two of them - a male called Pig and a female called Wuru - are in Australia, at WILDLIFE Sydney. Dugongs are notoriously difficult to keep in captivity because of their specialised diet - which is substituted with lettuce instead of seagrass in captivity. Water runoff from home car washing is causing major environmental damage to Moreton Bay’s water quality and wildlife.